Until 2016, the public image of Queen Victoria had long been that of a stiff, monotone, eternally old woman. That was, of course, until the colourful and vivacious depiction of the monarch in her younger years, starring Jenna Coleman, arrived on ITV. The series Victoria has taken great strides in changing the public perception of Britain’s second-longest reigning monarch, especially in highlighting her genuine interest in fashion. To celebrate the release of Victoria‘s second season on Blu-Ray and DVD this Monday, November 13, we went behind the scenes at her former home of Kensington Palace to learn more about the real Victoria’s relationship with clothing – and how that impacted all those around her. The first thing we learn is Victoria was very aware of her own public image. While growing up and as head of the royal family, Victoria’s clothing was constantly under scrutiny from onlookers and the blossoming media industry. It was something the Queen was enormously aware of and used to the advantage of her people. “For public events, she always wore British,” says Murphy. The reason was to promote British manufacturing in the face of a decline in the British silk weaving industry in Spitalfields. During the nineteenth century the British silk weaving industry was struggling, and Victoria’s solution was to promote it through her fashion choices. Victoria famously demonstrated this in style on February the 10th, 1840 – the day of her wedding to Prince Albert. Like with Princess Elizabeth a century later, the subject of what the young royal would wear to her wedding day was much discussed in the national press. Queen Victoria ultimately chose to endorse British industry by wearing a dress made of British-made silk and lace. It wasn’t only at home that Queen Victoria’s style impressed. The Queen picked up many compliments for her choice of attire while travelling, often choosing clothing that used symbols local to the country she was visiting. On her many trips to Scotland with Albert, one of which is depicted in the second season of the series, Victoria adorned herself with Scottish tartan. While visiting Canada, she wore maple leaves. In Ireland, her clothing included shamrocks. Wherever Victoria went, she localised her look to her audience. Victoria is available to buy from Monday, November 13 on Blu-Ray and DVD. Apparently we aren’t the only ones who will be missing ITV’s hit period drama Victoria on Sunday nights. Series writer Daisy Goodwin has revealed that she’s heard the Royal family are big fans of the show, which focuses on the Queen’s great-great-grandmother Queen Victoria. She told The Daily Star: “I know someone who is a very old friend of the Queen’s and I was told that the Royal family is enjoying it hugely. Whether that means the Queen is enjoying it, I don’t know. Victoria concluded a very successful reign of Sunday night TV last weekend, with the birth of Victoria and Prince Albert’s first child. The show has already been commissioned for a second series and a Christmas special for 2017. However, Goodwin also revealed that we nearly got to see a bit more of Victoria in 2016. Apparently, she pitched an idea for a Christmas 2016 special to bosses at ITV, but they didn’t take her up on the offer. She reckons “they are wishing they had one now”, after the show’s success. Victoria will return in 2016. 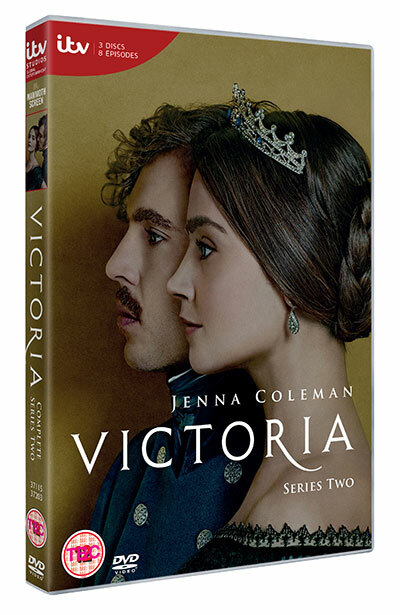 If you loved Victoria, check out our competition to win one of three DVD boxsets of the first series. Queen Victoria is known as one of Britain’s most famous monarchs, who governed the country and its colonies through one of the most revolutionary periods in history. She is not known for her troubled early years in power, where she struggled to maintain control of a court that did not respect her. Nor is she known for a series of scandals that befell her early reign, or her passionate and youthful infatuation with the Whig Prime Minister, Lord Melbourne. ITV’s latest drama, simply named ‘Victoria‘, seeks to change the public perception of the so-called “grandmother of Europe” from one considered an old, uninteresting figure to a strong, resilient woman who knew her own mind like the back of her hand. The new drama is based primarily on the words of Queen Victoria herself, for the monarch was a dedicated diarist. In the first of eight episodes, an 18-year-old Alexandrina Victoria is declared the Queen. She begins taking control of her destiny right from the off. She chooses the name Queen Victoria against the advice of her advisors, selects the Prime Minister Lord Melbourne as a confidante despite his very public personal life, and involves herself in what she believes is a scandal within her very household. The finished product is entertaining viewing, with much of what is enjoyable about the episode revolving around the character of the young but determined new Queen. 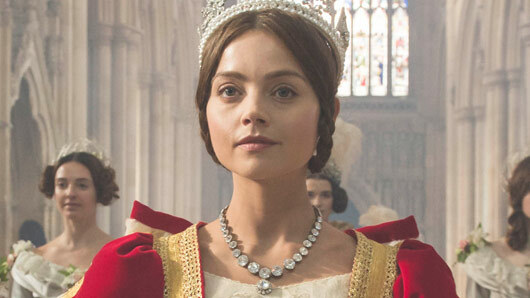 Jenna Coleman, although twelve years older and a couple of inches taller than the real Victoria, looks fittingly small and youthful in the role. The reason for this is a combination of excellent makeup and Coleman’s uncanny ability to beautifully encapsulate teenage naivety and fearlessness. If the series continues to alert people to the true nature of Queen Victoria, then making it seems a worthwhile endeavour. However, Victoria was also vulnerable to the trappings of a teenage mind, displayed all-too-clearly by her love for parties and growing crush on Prime Minister Lord Melbourne. Victoria’s interest in Melbourne is as obvious and embarrassing as a young girl entranced by Edward Cullen of the Twilight saga. She confides in him her secrets, goes riding with him every day and even refers to him with a special nickname – ‘Lord M’. Rufus Sewell does a wonderful job with the character, from the easy charm which captivates Victoria to a tortured scene where he mourns the death of his son. What’s made painfully clear is Victoria is a girl, and restrained by her gender and size. Despite her status and ferocity, she finds it difficult to get those around her to take her seriously. This is illustrated excellently by a scene in which Victoria makes her first address as Queen. She is small, young girl surrounded by a bowing mass of middle-aged greying white men. 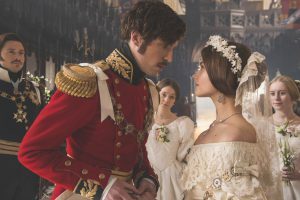 A lavish ITV production with well-dressed elites and a soap opera-style story is always going to get comparisons to Downton Abbey, and it’s there that Victoria falters. There is less fiction in Victoria, so far. She really did accuse her mother’s handmaiden of carrying an illegitimate baby and attempt to prove it, to horrible results. The problem with Victoria is it seems to plod along, following the chronological truth of Victoria’s ascendancy rather than structuring the first episode around any particular theme. It is has a good basis in history, but perhaps spectacular television has ruined me in that I want more from my drama. I don’t want a drama that is playing it safe. I want shock, I want well-thought-out connections and I want some of the fierceness of Victoria’s personality to penetrate the storytelling. 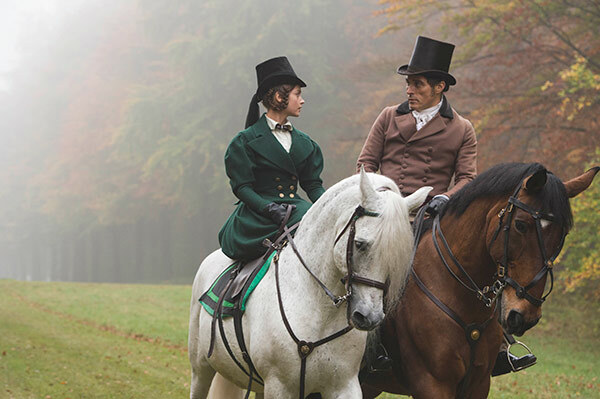 Victoria airs on ITV on Sundays at 9pm. First we got the first look images. Then we got the all too brief teaser trailer. 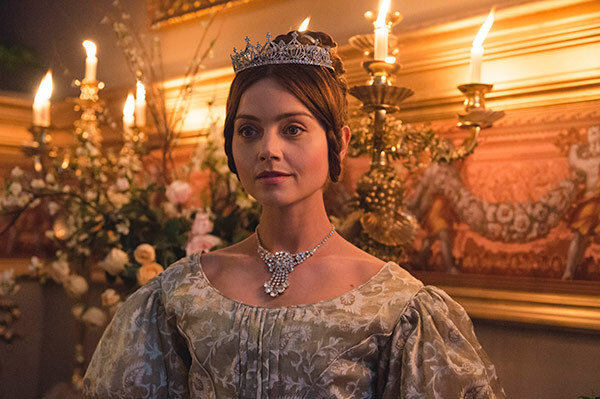 Now, as the nation basks in all things Queen-related, ITV has very kindly given us a three and a half minute, ‘first look’ preview of the highly anticipated Victoria; and it looks sublime. The 8-part drama will follow the early life of Queen Victoria (Jenna Coleman) from her accession to the throne at the tender age of 18, through to her courtship and marriage to Prince Albert (Tom Hughes). The brand new clip shows the young Queen greeting a room full of her lords, with the assistance of her first prime minister Lord Melbourne (Rufus Sewell), before sharing a private – if very significant conversation – with him. Simply visit www.itv.com/firstlook and enter a valid ITV area postcode to view the full clip, alongside a number of fresh ITV preview clips of such shows as Dark Angel with Joanne Froggatt, and Tutankhamun with Max Irons and Sam Neill. 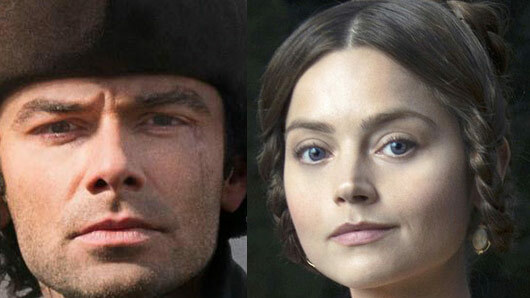 Victoria will air on ITV later this year.